Native plants are a great way to attract birds to your garden, but the type of native you plant can greatly affect the types of birds it will attract. The species you select will influence whether you favour seed-eaters, honeyeaters or insect-eaters, but they all like thick vegetation to nest, shelter and forage in, so density is key. Aim for a multi-layered habitat, with lots of plants at different heights, and trees and shrubs that will provide year round food and shelter for many species. “Plant selection is an important thing to consider when planting a garden if you want habitat for the smaller birds.” said botanist, Christine McRae. “What you plant can shift the species diversity of birds.” she continued. Larger birds like the wattle bird, which prefers nectar rich flowers such as the grevillea, can be very territorial and displace smaller bird species. “To attract smaller birds plant less nectar rich and more small, spiky flowered plants” said Christine. 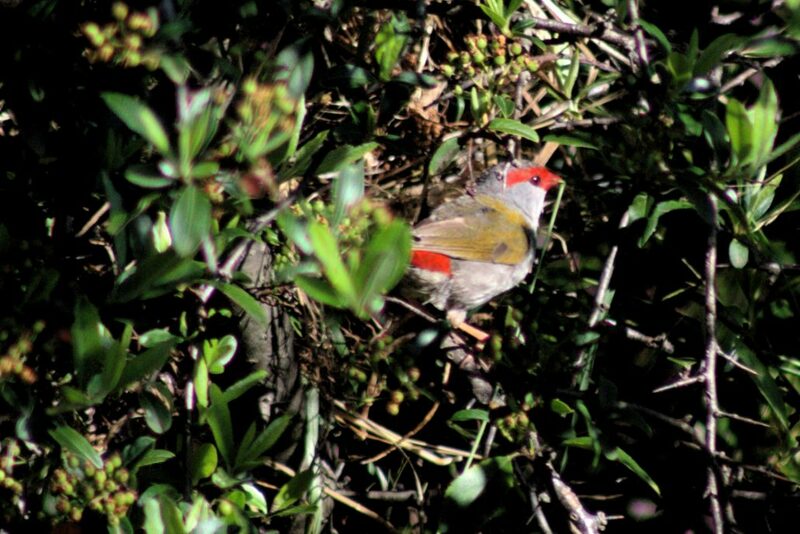 Small birds like finches rely on dense vegetation to provide protection from predators. During dry conditions don’t forget to provide the birds with a drink. A bird bath or a dish regularly topped up with water can also help to attract birds to your garden. Spring is the season when birds are most lively and visible and getting involved in the Aussie Backyard Bird Count is a great way to learn more about the feathered inhabitants of your neighbourhood. BirdLife Australia and it’s Birds in Backyards program have created the Aussie Backyard Bird Count initiative to provide an important snapshot of the birds that live where people live. The event was launched in 2014 and last year over 61,000 people participated and 1.4 million bird records were submitted. The 2017 Aussie Backyard Bird Count runs from 23-29 October. It’s easy to get involved, just head to the website to register as a Counter: http://aussiebirdcount.org.au/ (the website also contains some handy tips for designing a bird friendly garden). It only takes 20 minutes and it’s a great activity to do with the family or a group of friends. So register as a counter, grab a Field Guide and head out into the backyard, local park or your favourite green space and see how many of the 800 bird species present in Australia you can identify.